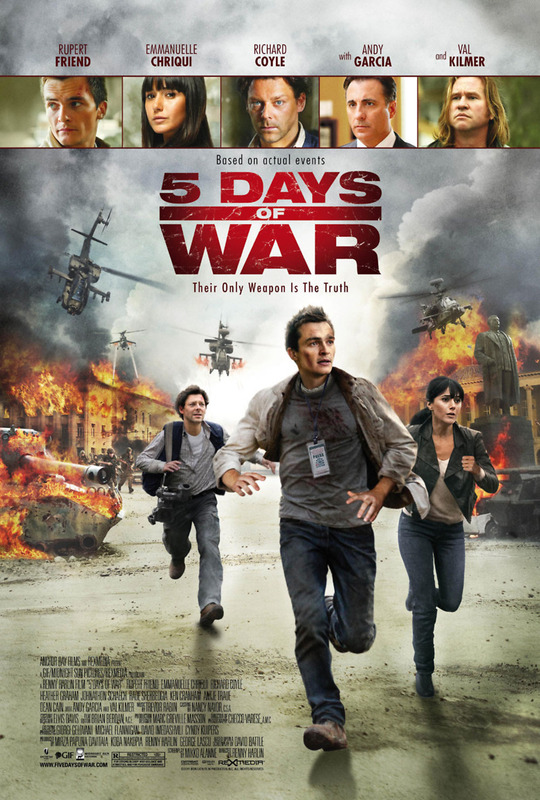 5 Days of War DVD and Blu-ray release date was set for November 29, 2011. While reporting on the war in Iraq, American journalist Thomas Anders is rescued from certain death by troops from the country of Georgia. He is later working in Los Angeles when his friend Dutchman tells him that Georgia is about to explode into violence. Determined to get the scoop, Thomas rushes to Georgia with his loyal photographer Sebastian. They soon find themselves trapped behind enemy lines in the middle of a deadly war between Russia and Georgia.